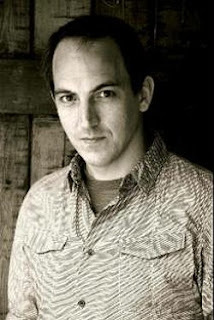 Eric Beetner kills me – and he doesn’t need a gun to do it, either. 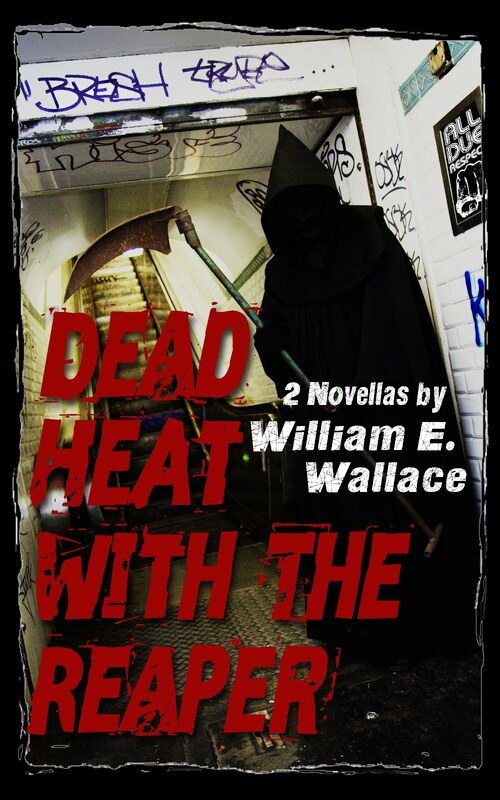 Not only does he do great cover designs like the one for my book, Dead Heat with the Reaper (All Due Respect; July 2015), but he publishes one novel after another of his own, such as Roadrunners and The Year I Died Seven Times. They are all tough hardboiled stuff with a noirish edge, served up with plenty of thrills and a dash of humor. To me, those two accomplishments are the equivalent of a pair of mortal flesh wounds by themselves. Eric has enough talent and output to make me grit my teeth with jealousy. But what really slays me is that Beetner is also an excellent editor, as he shows with Unloaded: Crime Writers Writing Without Guns, a collection of 25 fabulous crime stories by some of the best authors in the world. 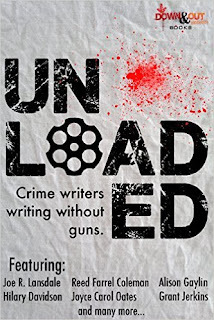 Like a lot of anthos, Unloaded has a gimmick: a whole boatload of people die in its pages, but not a single one is killed by a firearm; at least not one that is wielded directly by the story’s villain. Sometimes, as in Patricia Abbott’s tale, “Stark Raving,” the murder instrument is only hinted at (though the reader goes away with the impression that a toxic substance came into play). In at least one story – Tom Pitt’s cleverly plotted tale “Ioki and the Fat Jap: How I was recruited by the FBI” – there is no murder at all. Just a mysterious double shuffle that leaves the protagonist (and the reader) wondering who was who and what actually happened. For example, Joe R. Lansdale’s terrific kickoff tale “The Man in the Motorized Wheelchair,” in which a decrepit ex-cop in whose mind is still as sharp as the fangs of a cottonmouth solves a murder while watching a documentary on the world’s most dangerous snakes in his three-bedroom home. No guns are fired in this ten-page yarn; the weapon was the proverbial blunt instrument. In Grant Jerkins tale, “The Starry Night” the killer uses an incinerator for burning hospital hazardous waste. A victim ends up with the claw peen of a carpenter’s hammer in her skull in Keith Rawson’s dark-spirited “Copper.” Ironically, the cold-blooded killer in that one also turns out to be the hero – in a peculiarly twisted way. In Joyce Carol Oates impressionistic “Lorelei,” a story about a woman of the evening, the murder weapon is something so familiar to every New York City resident that it might as well be invisible: an IRT train. Just remember, friends: what happens on the underground stays underground. Not a single gun in the bunch, but Unloaded is loaded with gripping fun. Proceeds from the book’s sales are being donated to States United to Prevent Gun Violence, but you should buy the collection regardless of the charitable intent.